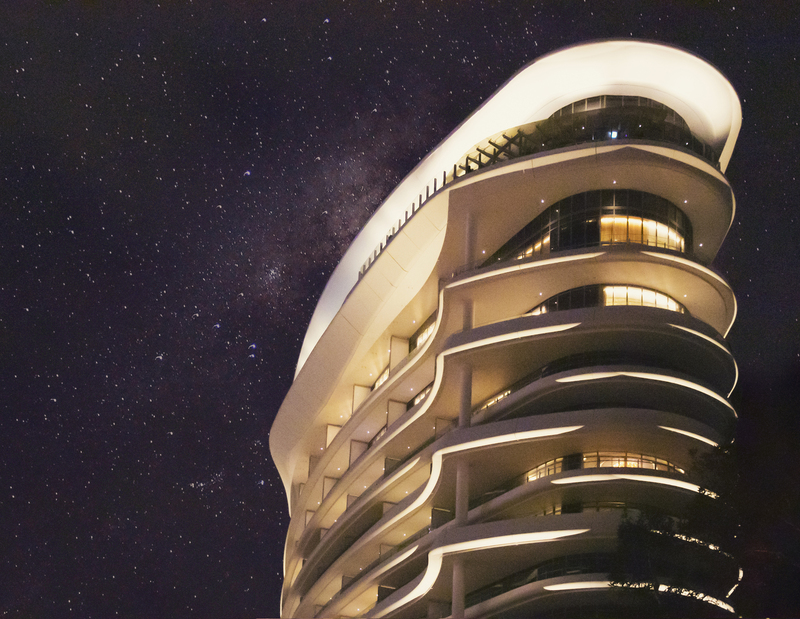 Opened in 2018, The Darling Gold Coast is a luxury 57-suite hotel located on Queensland’s Gold Coast, Australia. 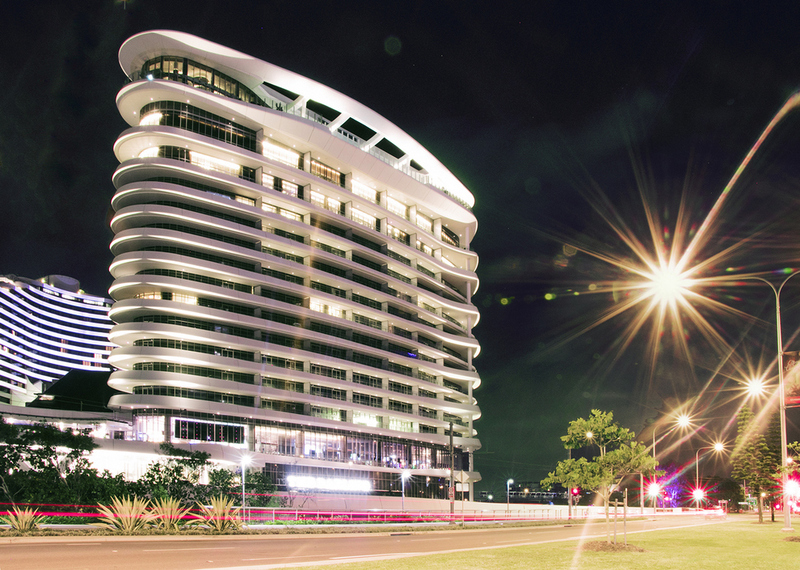 The hotel is part of the first stage of a AU$2 billion masterplan for the refurbishment of the existing Star Grand Hotel and the development of Star Entertainment Group‘s Broadbeach Island site, including four new accommodation towers. The first of these, currently under construction, will herald the entry to Australia of the internationally acclaimed Dorsett hotel brand. This is one of three Dorsett hotels planned for Australia, as Dorsett Hospitality International, one of the biggest hotel owners in Hong Kong, looks to roll out its hotel chain nationwide. Each level features only seven suites each and the larger suites and penthouse suites have amenities such as in-room spas, a butler service and their own private karaoke, billiard, media or exercise rooms. The hotel has a rooftop infinity pool, bar and restaurant. Inhabit was engaged to provide façade engineering and certification services for the façade contractor on all glazed systems from the tower aluminium-framed window-wall system with sliding doors to the podium-level, custom, frameless glazing system with portal entry and inclined feature glazed wall. Material consulting services for corrosion protection of steelwork, steelwork factory quality checking inspections and glass-reinforced concrete (GRC) factory quality checking inspections were also carried out. Inhabit provided critical design input during the early stages of contractor engagement to resolve GRC complexity by optimizing GRC form and shape to reduce cost while maintaining the impressive 3D curved cladding. GRC panels were design for the perimeter of each floor of the 17-storey tower, rooftop feature cladding, feature column cladding and adjacent road bridge soffit cladding. Maximum panel sizes were up to 8m in length with minimal connection to structure, thereby allowing for easy installation and performance. Inhabit provided concept design, documentation, engineering, certification and quality checking services. The design of GRC elements was very successful and has resulted in imitation on many other projects as the architectural and building design industry learns of the possibility with GRC manufacture with good upfront design input.